I have been studying guitar for 9 years with different tutors and in a Music Academy covering different aspects and styles of music and playing in different bands around North Italy. I am very well qualified guitar teacher and I have been teaching for three years privately from home as well as in music schools in Italy. I have taught people at all levels as well as across the full age range. The lessons can be individual or in group of a maximum of three people. Group lessons normally last one hour and half. My lessons are always enjoyable and creative and I use a variety of teaching methods in order to vary my lessons and make learning an enjoyable experience. 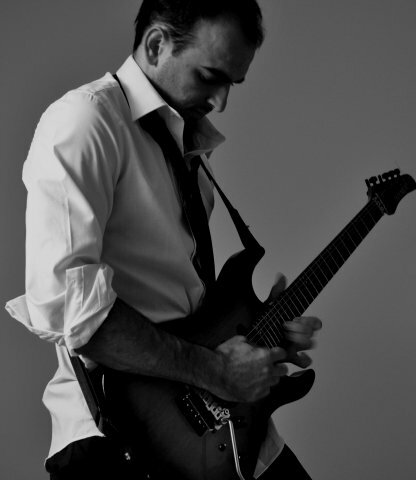 I teach songs as well as how to play like your favourite guitarist! I will prepare you for examinations and I can teach all the academic aspects of music. I will teach you how to play different kinds of music well and also how to understand timing, improvisation and "solid grooves". My students are able to play technical virtuoso solos as well as read music and analyse harmonic progressions. I am a well qualified teacher and I believe that it is important that my students enjoy playing and progress well.